Samsung has announced a new Android-based Galaxy Player that will be showcased next week at the CES 2011. Samsung says the new music player takes inspiration from its successful Galaxy S phone without the cellular connectivity. This player is rumored to be the main competitor to the ipod touch and it also supports Gmail, Youtube, Google search and Google maps. The 9.9mm thick Galaxy Player (YP-GB1) runs on Android 2.2 Froyo OS and features a 1GHz CPU, 4-inch Super Clear LCD screen supporting up to WVGA resolution (800×480), T-DMB, SoundAlive audio enhancing technology, Wi-Fi, Bluetooth 3.0, 3.2MP rear camera with front facing camera for video calling, GPS, HD video playback, microSD card slot, Android Market and Samsung Apps access and a 1200mAh removable battery. The front facing camera is VGA. 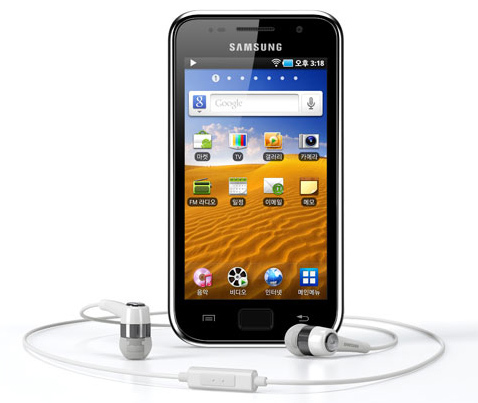 The Samsung Galaxy Player will come in 8GB, 16GB and 32GB storage capacities.